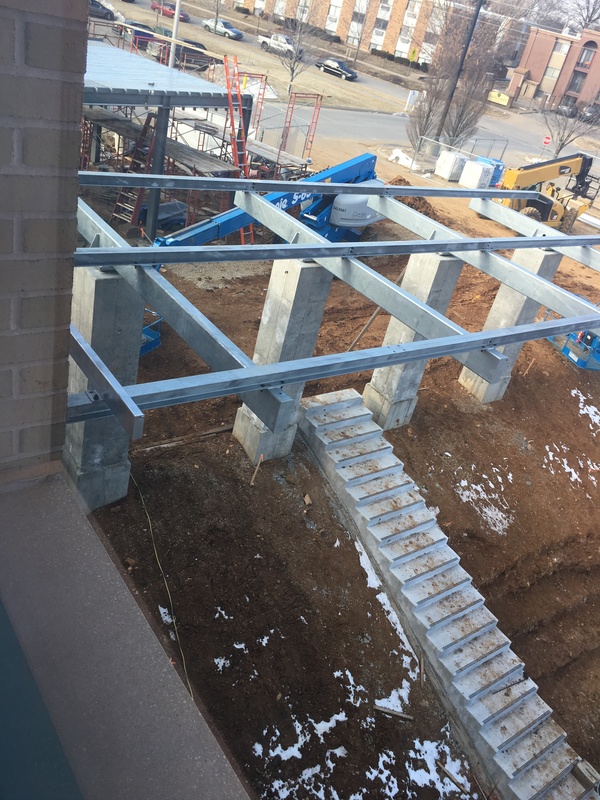 To see more construction photos check out our Flickr album. 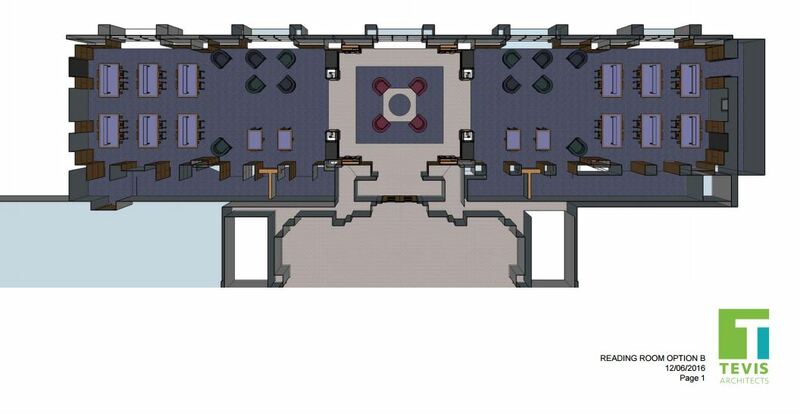 A layout of what the new Circulation Lobby, Large Print, Business Center, Learning Center and Make-It Lab will look like. Image courtesy of Tevis Architects. The Business Center has been moved to its new location in the Plaza, the main lobby that includes the customer service desk. You now have a little more room to copy, fax, print and scan. Construction is now under way on the west side of the plaza. 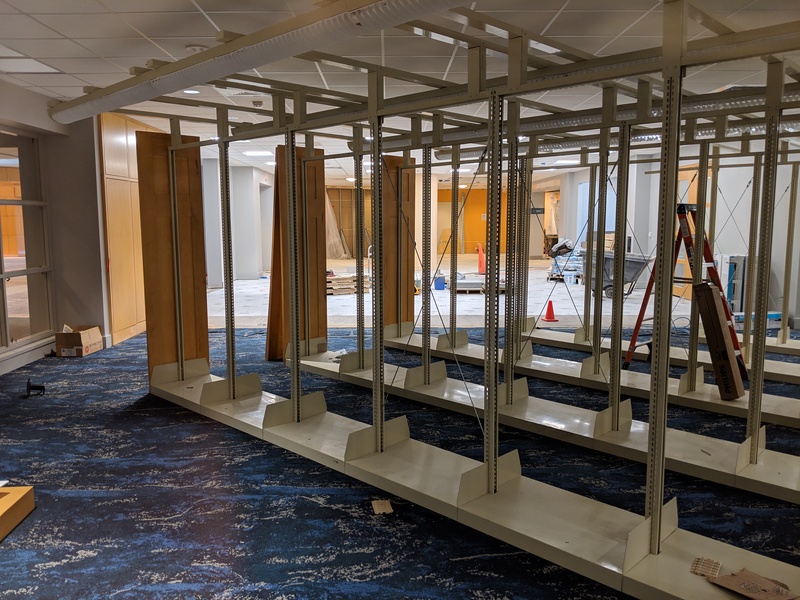 Bestseller Express and DVD Express items have been moved into the middle of the New Books and Media Room near the computers during construction. The customer service desk is temporarily located on the east side of the plaza beside the large print section. 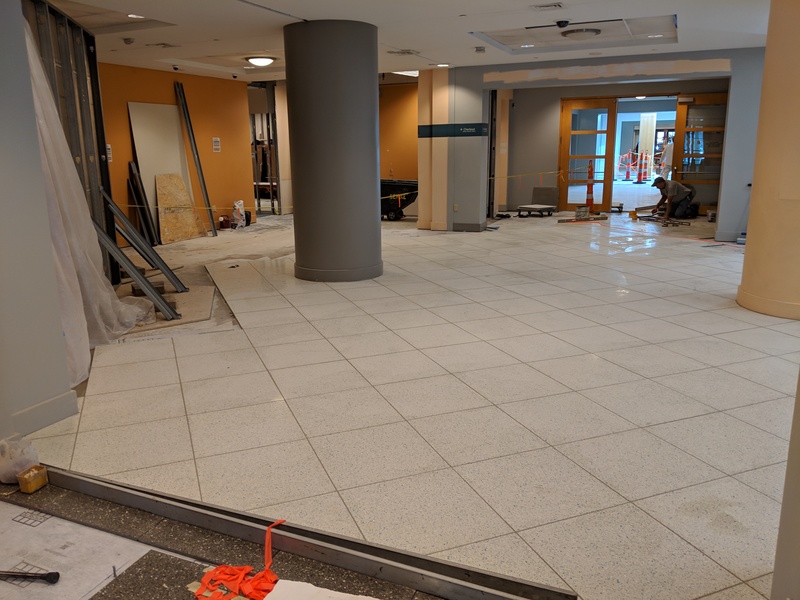 The flooring has been replaced in the plaza, main hallway and atrium. 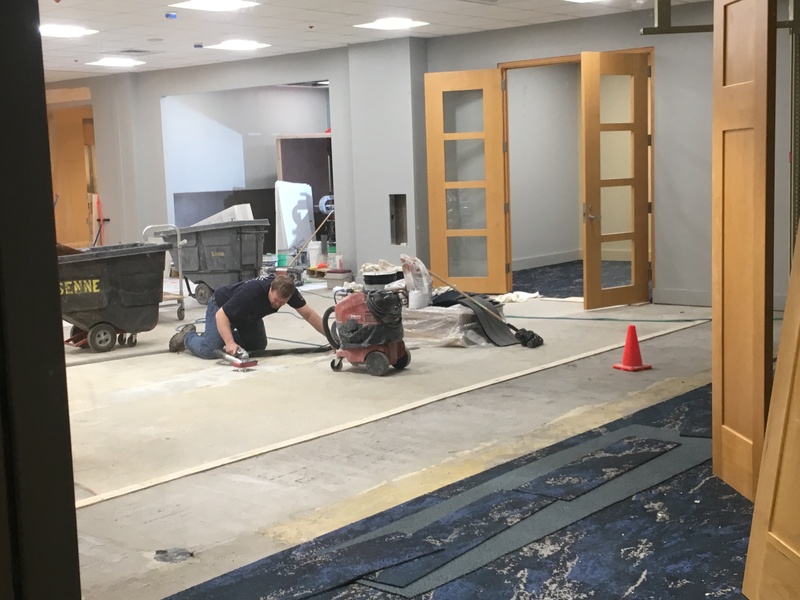 Flooring is currently being replaced in the library entrance and rotunda. 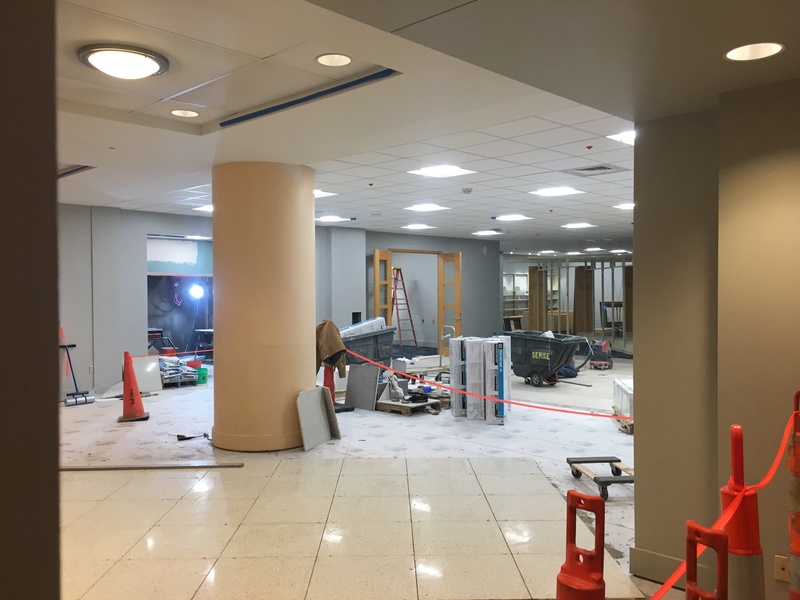 As this entrance tiling is underway, some of the front entrance doors will temporarily be closed. We will always have at least one set of the front doors open during construction. 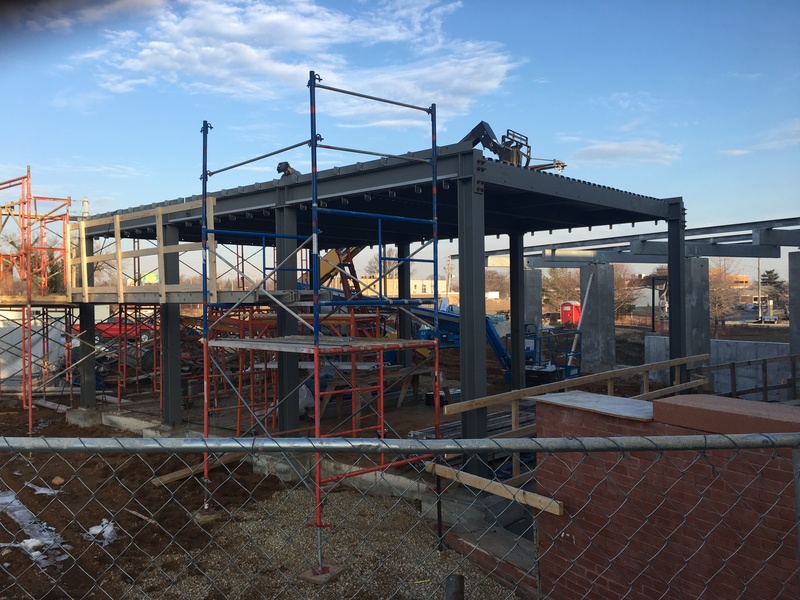 On May 24, 2018 a groundbreaking ceremony was held at the future site of Claire’s Courtyard. 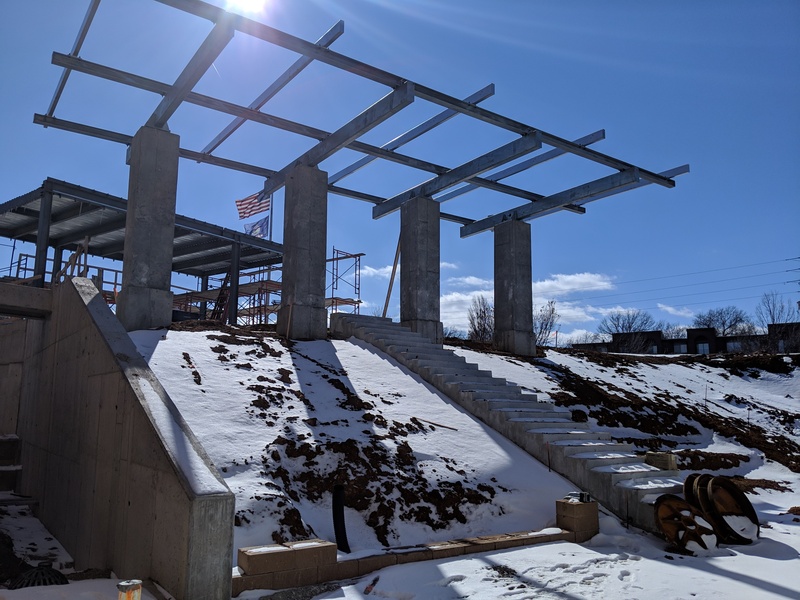 This new public space will include a year-round all-weather sunroom, an outdoor courtyard and an outdoor amphitheater for programs and classes. 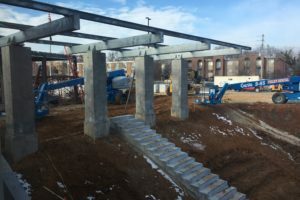 Construction is in progress and is expected to be completed in early summer 2019. 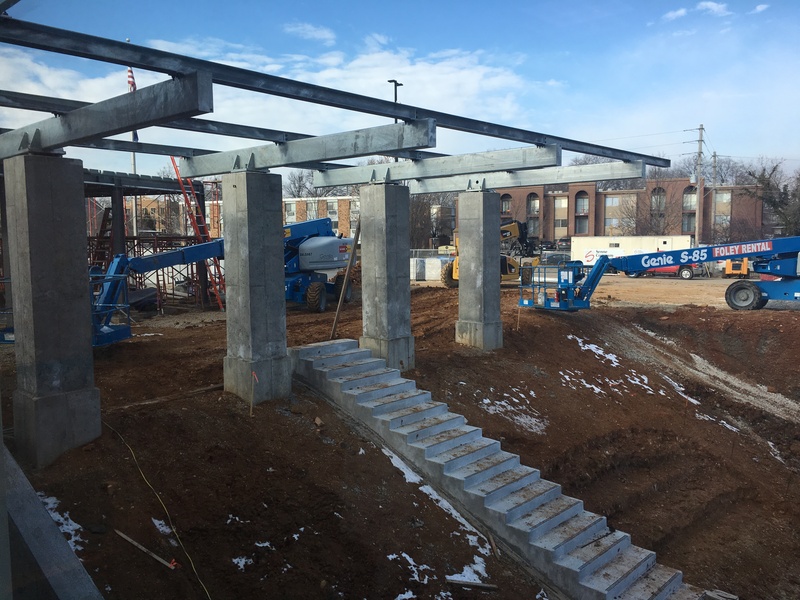 This exciting project is being funded entirely by private donations raised by the Library Foundation, and is thanks primarily to a generous donation from Dr. Glenn Swogger. The name Claire’s Courtyard is in honor Dr. Swogger’s late wife Claire. 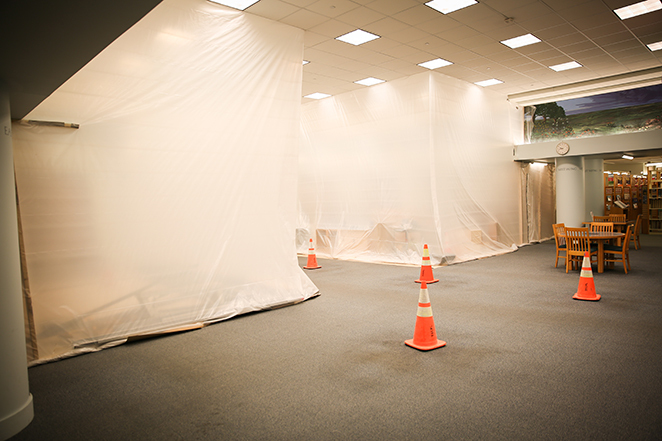 Remodel of the Learning Center is underway. 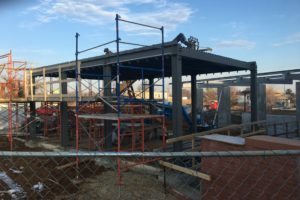 This will allow the space to be used for a variety of learning experiences for people of all ages. 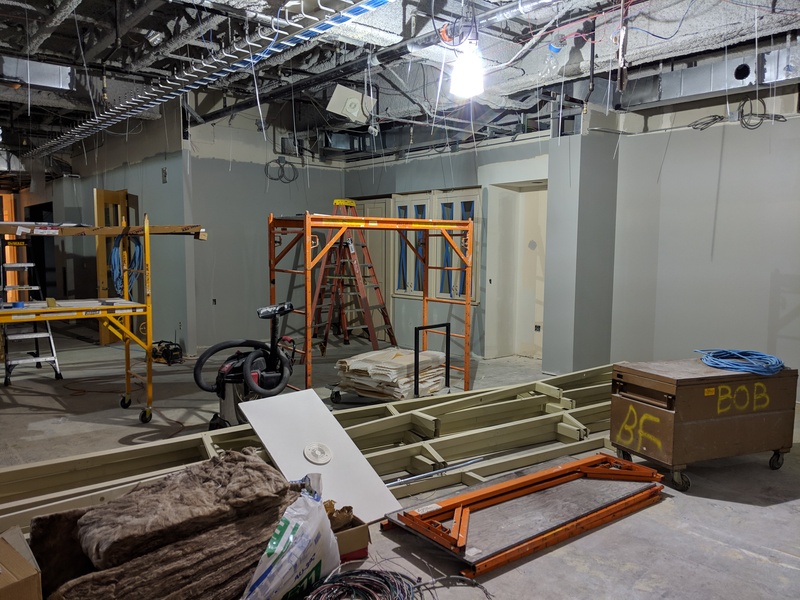 The Make-It Lab will also be moved from its current location in the northwest corner of the New Books, Movies and Music Room to an area next to the new Learning Center. 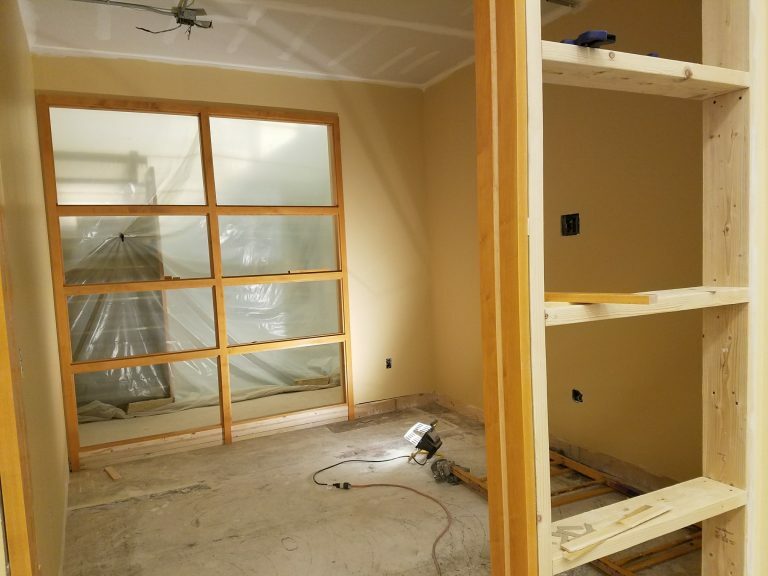 The new Make-It Lab will feature better soundproofing, software and equipment. 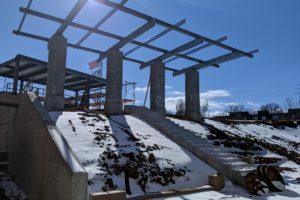 Construction is planned to be completed in summer 2019. 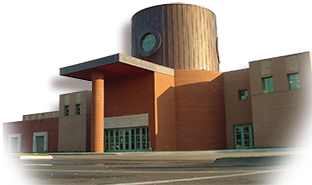 For more information check out the Facilities Master Plan PDF. Large print books are in a newly remodeled area just inside the front Plaza. The remodeled Large Print area has reconfigured shelving to make it easier to find the items you want. 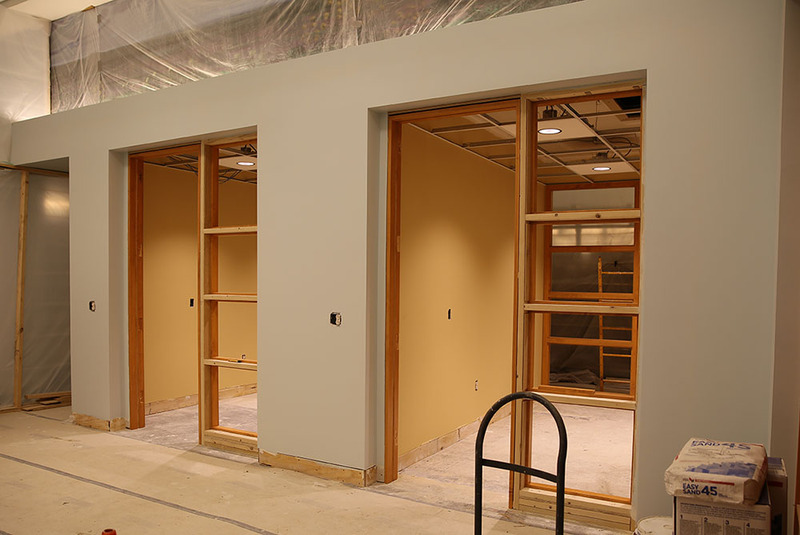 In July 2017 we added doors on the Core First Bank and Trust Reading Room to help keep noise out of this quiet space. 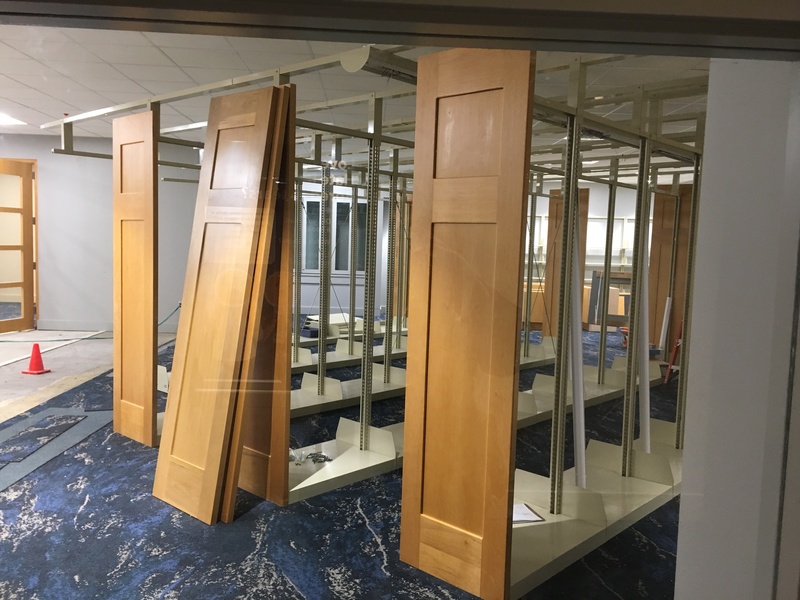 In November and December 2017 we installed new shelving for the periodicals collection which was then moved into the North Reading. New furniture for comfortable seating was added at the same time in addition to more tables for individual study. 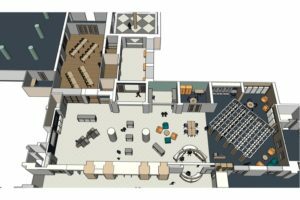 In June 2017 work began in the Reference room removing the four existing study rooms and replacing them with eight new Team Rooms. Construction was completed in October 2017. The new Team Rooms provide a quiet space equipped with technology for groups of six people or fewer. Each room has a small conference table, a glass dry erase board (bring your own markers), and a 42” monitor with Microsoft Office, internet, speakers and a web cam. 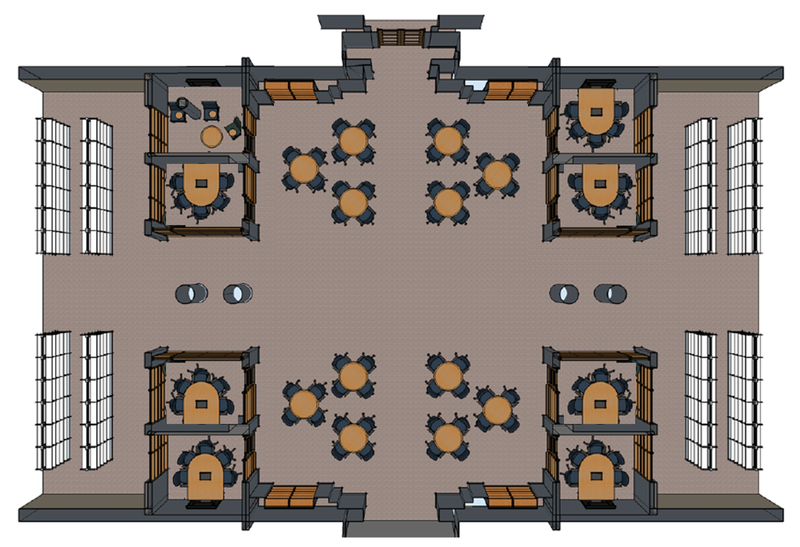 You can reserve a team room online or in person on the iPad outside each room. You can reserve a room up to seven days in advance for up to three hours a day with your library card. In July 2017 work began to create an opening between the Millennium Cafe and the new books, movies and music area. 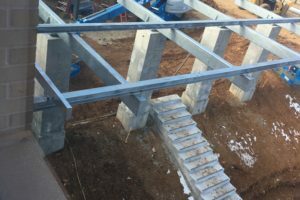 This project was completed in October 2017. This new entrance allows you can check out your new book, grab a beverage and a snack, and sit down to read. We have a check out station right by the new cafe entrance for easy access. 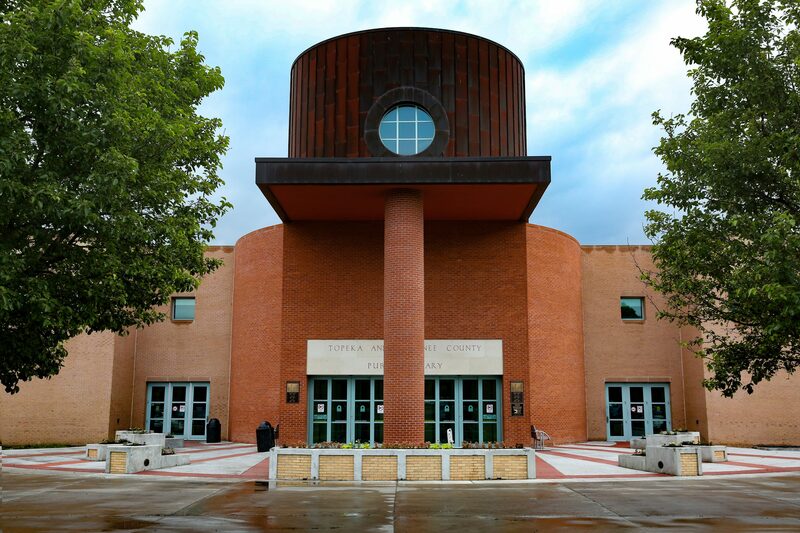 We improved the entrance to the library with a beautiful pedestrian plaza with raised flower beds and seating.